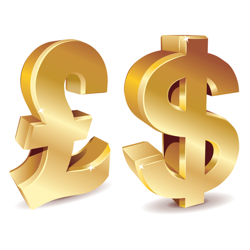 The pound has broadly declined in forex trading markets today, sliding on the back of comments from Bank of England (BoE) Governor Mark Carney. Addressing the Treasury Select Committee in Parliament, the former Bank of Canada Chief indicated interest rates may not be lifted as early as he suggested just a couple of weeks ago. At the Mansion House event earlier this month, Mr Carney stated policymakers would look to hike borrowing costs before the end of the year, surprising markets, which had anticipated action in March 2015. However, the BoE Governor today conceded wage growth has been more subdued than the bank anticipated and admitted there is some way to go in terms of the slack in the economy that needs to be absorbed before rates are lifted. As traders reacted to today's remarks, sterling weakened from a five-year high versus the dollar and short-sterling futures increased. This is generally interpreted as an indication that traders are paring bets on the Bank taking action in the near future. Comments from policymakers have been a key factor on markets in recent months. Traders have been attempting to distinguish the full extent of the policy divergence between the UK and US, where stimulus is being scaled back, and the Eurozone, where the European Central Bank has recently introduced additional easing measures in an attempt to support faltering economic growth and prevent the region sliding into deflation. Earlier this month, it was revealed wages excluding bonus payments were up by 0.9% in the three months to the end of April. This is down from a 1.3% in the first quarter. 'Taken in isolation, the developments on the wage front suggest to me that there has been more spare capacity in the labour market than we had thought,' Mr Carney stated. GBP/USD was down by 0.33% at 1.6971 as of 16:20 BST.